Successfully growing indoor plants requires being able to care for them even when you are not there. A friend or neighbor may be willing to take care of them while you are gone, you can also use indoor plant watering devices to get water to your houseplants even when you are not at home, without having to ask someone else to come in to care for your plants. Watering bulbs and cones are some of the easiest indoor plant watering devices to use because you can look at the bulb or cone to see if the water needs refilling. A watering bulb is a hand-blown piece of glass that has a round bulb-like shape on top. The bulb, which is empty inside, is connected to a long glass spike, also hollow. To use a watering bulb, simply turn it upside down so the spike is facing towards you and add water. 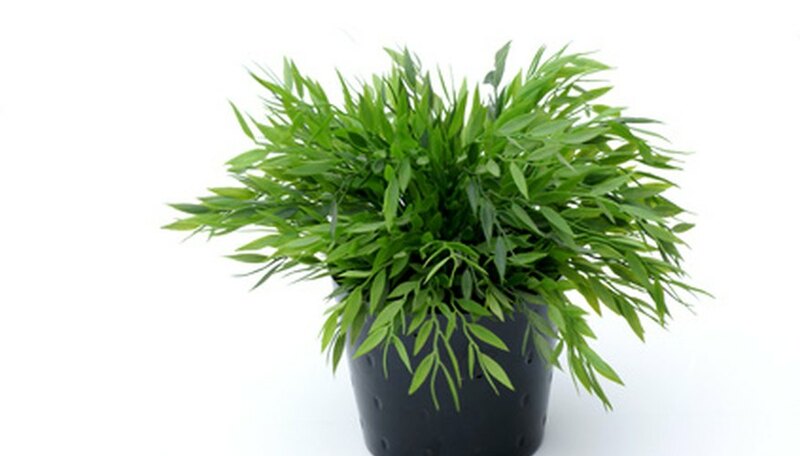 Once it is full, insert the spike into the soil next to the plant. As the soil dries, air from the dry soil will flow into the bulb, causing water to be released close to the plant's root system. Watering cones work in much the same way watering bulbs. The difference is they have a tank that sits beside the plant on a table or on the floor. A siphon hose goes into the soil, close to the plant's roots, and the air/water exchange takes place through this siphon hose. Depending on the size of the watering cone, it can supply a plant's water needs for up to two weeks. If you are looking for indoor plant watering devices that require less frequent filling or do not have to be inserted into the soil or set beside the pot, look for self-watering containers. 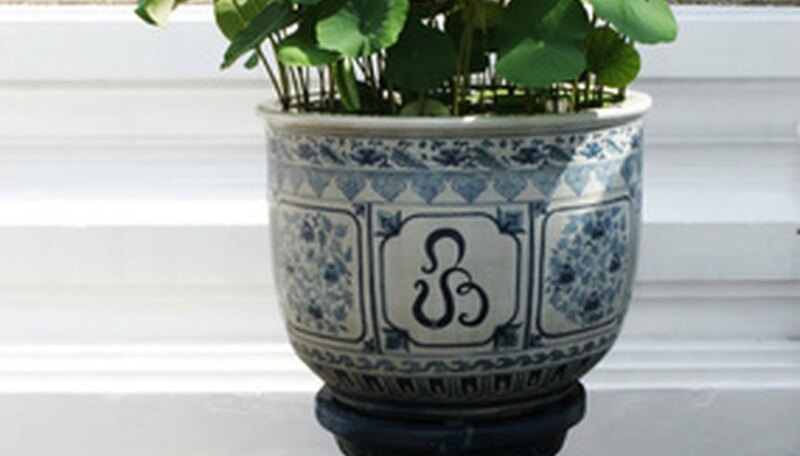 Most self-watering containers are highly decorative, but you can also find plain models. Self-watering containers, depending on the size of the container, can hold up to 8 gallons of water. The way these indoor plant watering devices work is that you fill a small reservoir near the bottom of the pot until you can see the water. The soil wicks the water in the container, as needed. 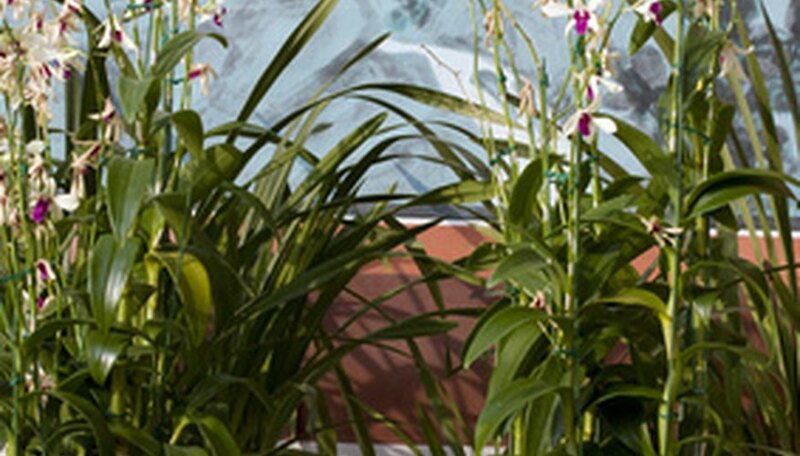 Self-watering containers work well for plants that need a lot of water such as gingers, cannas or bananas. The trusty watering can works for those with plants with specific watering needs. 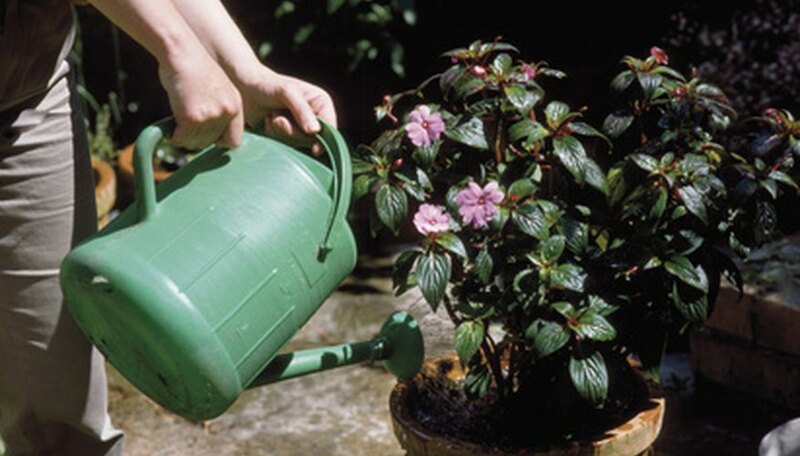 Using a watering can requires that you keep an eye on your plants to check when the soil is dry. It also means that if you go on vacation, you will need to find someone to water your plants for you. Keep a watering can on hand, even if you have other watering devices. You can use a watering can to fill the reservoir in the self-watering containers and use it to fill the watering bulbs and cones as well.